We just passed through our first full moon of this year which occurred on January 26-27th depending upon your time zone. It was very interesting to have a moon that gave us the elements of releasement and nurturing at the same time. Due to the other activations we have experienced in January, this was probably very powerful for many individuals. It was an opportune time to fully accept the new areas of your life that are being challenged while allowing the acceleration to occur within your pathway. This week represents experiencing the changes that happened while creating a more balanced pathway. We find that when we go through fluctuations of energies we have to readjust within the physical world. This can be very demanding on our lifestyle no matter how deep the healing occurs. Take time to readjust your energies so that you are prepared for the next cycle of transformation. It has been shared by Spirit that the Spring Equinox will be a most powerful time for the planet. We all thought that the activations of 12:21:12 would be more life changing. Let’s ponder on that thought considering the energy surges we have received in January. If these frequencies had occurred in December along with the additional energies we will be receiving through February and March, many would be on heavy overload. Humanity on a whole was not ready to receive the intensive moments so the Universe is helping us to go through them with ease and grace. In addition GAIA is receiving nurturing as she is also going through the same process. The earth changes are not nearly as catastrophic as they could have been. As we move into the month of February, we need to be aware of the changes we are creating and allowing for the most optimal experience in each moment. Winter is always the time of deep inner reflection of seeing the deepest parts of ourselves to change and mold the new experience for the Spring which represents Rebirth. Each of us is going through a death cycle in many ways over and over again as our timelines of our past lives are igniting through us to allow the multi-dimensional beings be ignited that we contracted to be. Allow yourself to go into the void of all that does not serve yourself. This can change from moment-to-moment and know that this journey is the most challenging one on a Soul’s pathway to take on. We are in a very powerful year as each of us allows our inner power to ignite within ourselves. This week we are being nurtured by allowing the blessings to enfold within us. Allow your experience to be smooth and transitional. Always move forward but with the gentleness of the Deer beckoning us on to experience the depth of the forest. Embrace who you are and how far you have come; the journey will become easier but so much more in depth of your Soul’s Essence. It is our pleasure to announce at this time that the energies are stabilizing for the planet and each of you. This will be a short period so take advantage of the most optimal energies to allow the essences that you are experiencing to enfold within your physical body. We want to talk about how the Super-Conscious Mind or the Higher Self is activating within your Being. There must be an understanding of the changes that are occurring. This is one reasons why we felt that it was imperative to share our essence with each of you through this update. We feel that individuals, such as you reading this material, are receiving a higher level of frequency within your Being and helping you to understand the process that you are undergoing on all levels. We see that many Lightworkers need to realize the depth of their contractual agreements and it is not just because you have arrived on Earth with great knowledge, wisdom and the ability to move energies just by thinking it is so. This is only part of the occurrence of your experience. You have arrived into an earth body and have the ability to create unbelievable manifestations on many levels. As you do this, you are working through your physical mind which is truly the consciousness you incorporate. But your subconscious is working through the other timelines to make sure that everything is in order as the programming has been set in place. As the Super Conscious or Higher Self becomes more active in your world, then the Three Minds will blend together; but you can have great magic in your life without the melding of these minds into the one Higher Mind. Many individuals are still running their lives within the framework of the Lower Mind, and we find it is imperative to share this information. You can accelerate and move through initiations without accessing your Higher Mind, but you truly are loosing out on an important facet of your availability to accelerate upon this earth. One can fall as easily as they rise. It is imperative to understand, that as you become the multi-faced human being other timelines which are amazingly powerful, are melding into your physical structure. Within those timelines, issues can arise within you that you have held previously that do not serve your Highest Purpose. The power becomes so great that it can create archetypes to arise within you that you have held in these past timelines. The ideal situation is allowing each of your traits whether higher or lower be fully integrated within yourself to create a balanced state of experience. As a human species, these archetypes have been necessary but the traits involved within each one need to be put into wholeness. Each of us from the Unified Whole came from specific archetypes and timelines that we now have chosen to be put into the Unified Whole. This means that all our timelines are melding into one Essence. If we were to come into physical form, we would be able to be completely integrated and a whole Being of Light. Each of you is going through exactly the same time of energy. As you are experiencing the changes within the planet, the challenges you are receiving are allowing you to become more Whole within the One Balanced Mind, the Higher Mind or Higher Self. Every time you feel the effect going through you, take a moment and reflect where that is coming from. You may find it truly is not an experience you have had this lifetime but a particle of light coming into you for you to remember and deflect or reflect into it. If you need to deflect, it is a timeline that is not suiting your highest purpose; in retrospect, if it is a reflection, then allow that to shine deeply within you. It is a timeline that you lost, forgot about, or just did not realize it was yours to keep. This week is that time to allow these changes to occur within you as you deflect or reflect elements that happen in your life circumstance. You are actually allowing your Higher Mind to be the ruling factor and not the Subconscious. Then you will be able to activate your consciousness within the Higher Self and not the Lower Self. This takes practice and part of it represents awareness. Until an individual can honestly look deep within themselves to see the parts that do not fit, than the Lower Mind will still stay intact. It takes great strength and stamina to continue with this type of reflection as it is not always easy to look at oneself and know that the thought or feeling does not belong there. We share this information about the Three Minds to help individuals to see where they may need to do some deeper work. It is only going to assist each person more deeply to allow the Multi-Dimensional Self to be fully activated. The fifth dimensional frequency does not accept the entryway of any individuals that have not acquired this state of accessibility. You will stay within your 4th dimensional framework but think you have arisen to the 5th level. This is a misconception and must be understood for anyone on the Pathway of Mastery. You have chosen to step into this world as it is the most difficult to attain and sustain. But with diligent effort on your part, it can be achieved. This allows for greater reflection and more in-depth knowledge of the Inner Self. This is only the beginning of allowing your essence to fully shine into the New Earth. You will get into deeper levels than you can ever imagine. More challenges result, but they will be in a different framework of reference within your life. So take the time this week to look within as the energies have stabilized. What has happened to you during the month of January and how have you assimilated it? Are there more elements that you need to acknowledge within yourself either in the plus or minus position? We want everyone to be neutral and have the balance between both elements. This will allow you not to take on thoughts or emotions that are not necessary but feel the pure essence that you are incorporating within your Body of Light. We are the Unified Whole Command of many masters in the Creation of Oneness. As we move more into each month of 2013, we are starting to realize that no matter what level of consciousness we are integrating, there is more to be received. The Team of Light shared with us that 2013 would be a sampling of 12-21-12 on an extended basis. We are at the end of January; the moment of reflection I share is that there is much more to come. Many of us have been walking this pathway for several years; my partner, Mike, 10-15 years; myself, almost 30 years and you would think that we would be prepared for this next phase. We are learning that every day is a new experience in relation to our Body, Mind, and Spirit. We are only at the beginning of this magical journey into the 5th dimensional world. It is going to increase each week moving into the Spring Equinox. Spirit is using the Spring Equinox as our next guidepost. I believe this is because we need to have specific markers to help us realize how far we are going along with where we came from. If I reflect since the beginning of this year, the depth and acceleration within myself is beyond words that I can find to describe the transformation. I can fully sympathize with those that have been on this pathway for a lesser time and what they may be experiencing. What I am trying to convey is each moment is going to become increasing more powerful along with allowing old parts of ourselves to die into the ethers of yesterday. We are becoming increasing more beautiful, joyful, and blissful, as each moment shifts us into a higher way of understanding our inner self. This will be reflected through our outer self. It is imperative that we stay strong with our traditions of connecting to our Higher Self, our guidance, and I AM Presence because without this line of communication, we will fall back into the abyss of our third dimensional self. Each day is a challenge to stay strong, focused, and know who you are inside to project to others. This means on all levels of consciousness as our Super-Conscious is now becoming our entryway into the New Way of Living. This is what this week is about ~ realizing who you are and continuing the pathway of light into more of yourself. The energies are very powerful and in a special channeling from The Elders That Surround the Throne of Grace who represent the 12 Rays of God, they are emitting Rainbow of Lights to the Earth with each of the frequencies of the Spectrum of the Rays to the planet and within each of us. If you are feeling off-centered, tired, and changing every day, please know you are being hit with this frequency of light. To read more about this activation, see our current newsletter, “Illumination”, January 23rd issue, http://eepurl.com/uo6af”. On January 26th-27th, 2013 we will be experiencing a Full Moon in Leo/Aquarius which will assist us to reflect the deepest parts we desire and the ones we want to remove by allowing us to clear the old timelines that may be getting in the way presently. This is just another way of the Universe assisting us to become who we want to be by bringing forth the planetary changes in a very nurturing way. Take the time to do a ceremony for yourself during this time to reflect the TRUE YOU that you are becoming. You will be grateful that you did so. (We held a powerful call on January 23rd to celebrate the Full Moon Energies and you are invited to download the MP3 file located at http://walkingterrachrista.com/tele-calls/mp3_listings/, donations are appreciated. The energies presently will represent fluidness and continual movement with the activations that we received during this month of January especially with the 1st Angelic Activation on the 11th. This is just a small sampling that we are going to be receiving through this year. Take time to understand your emotions and your thoughts so you can change the parts of yourself that do not align with your Highest Purpose. Take a moment to think back when this month began and how differently you feel. There is more to come and holding your ground will be the most important aspect for you to receive on a continual basis. We are at a very exciting time as the month of January comes to a close very soon. Let us reflect in what the energies have brought to each of you during this time. First, the adjustment from the 12:21:12 represented your energetic exchanges within our physical body. Your Etheric Body is very active as many old timelines are appearing for you so that you can put them into wholeness for releasement or accepting them for a new way of Being. The experiences of the New Moon and Angelic Activation have also sent the frequencies into a new way of existence. Allowing the entranceway of your angelic essence within the physical body can be a very challenging transition. So the first part of this activation is now available within each of you. The planet is now being infused with the Rainbow of Lights through the 24 Elders from the Throne of Grace which is a blessing for the entire planet. Spectrums of lights are coming into the hemisphere on a moment-by-moment basis to help individuals to balance their energies and also awaken them into a new state of human experience. This is quite a lot to integrate within one month but with the full moon activity on January 26th-27th it is going to assist in allowing the energies to blend within your four body system on a more gradual basis. Usually this moon means that the purging needs to be very intense in order for the transition to occur within a person, but this moon is taking those energies in a very nurturing way to help individuals to move into another state of creation. It is important during this time to fully accept the changes that are manifesting within your consciousness. All the other activations are leading up to this time so that the changes can be moved through you with Ease and Grace. The Universe is assisting in this process of embracement so take the time to fully understand within yourself the old thoughts being removed and allow the new ones to be integrated. Sometimes this process can be very difficult as the transformation that occurs can override the entire experience. That is the unique essence of Leo and Aquarius coming together as the internalization and external essences are becoming intertwined to become the completed experience. So, in effect, this planetary change is going to assist you for the next state of your development. This will bring forth a pathway of relaxing within yourself so take the time to fully nurture the thoughts and emotions that are transitioning within your four body system as you accept the fact that you are becoming more and more multidimensional within yourself. These changes are helping to release the timelines that are getting in the way presently. This may pertain to people or events that you have held onto because you did not know how to do it in any other way. You may feel spiraling of lights blending within you; this is a direct result of the 12 Rays of God becoming more active within GAIA as she is creating her new chakras. It is a most opportune time to take advantage of the changes happening on a planetary basis to assist you on an individually. This process will continue after the full moon until the end of January. At that time, the energies will shift once again so it is imperative that you take full advantage of this transition to completely connect soul connections that you have been working with to remove elements held in your Etheric Body. In fact, most of the work you are doing is through the Etheric level which is only going to assist your physical body to receive more frequency and accept your Body of Light. Those individuals that are not aware of these energies may be affected adversely through the transition of the Full Moon as their elements are going to arise within themselves. As this happens, the nurturing cannot take place if they are not in a state of accepting a feminine-based frequency to assist them in the process. They will reject it and find within themselves that more trouble will occur within their lives. We must remember that you are in the year of duality on a physical basis and allowing the Light and the Dark to merge within themselves will be the focus of reality on Earth. You will find that the Light frequencies within you will be able to nurture the darkness that is loosing its ground. As this happens, it will dissipate within any part of the four-body system to allow more Light to emerge. This is the beauty of the current transition. The more individuals that realize there are pockets of debris within their Etheric body to be changed and molded into a new existence, the more others will do the same. As these energies are incorporating within each of your systems, they will flow through you and around you affecting others, your environment, and GAIA. Without the allowance of the embracement of Love, there cannot be Unity which truly represents the current energies. But it must be felt within the SELF before it is projected outwards into anyone else. So the process looks like this: the current moon cycle will enable the frequency of the Old to mix with the New to make the necessary adjustments. You, as the initiate, fully accept this transition and move into it further by allowing the activation to push you into a new awareness of Love. Then when you expand that essence through you, it is released into your auric field into the ethers of the Earth and all its inhabitants. Then, you are helping others to feel the same as you are but within their own circumstances. This is how the Unity of the Planet will be achieved by allowing your God Essence Self to be fully manifested through these stages of acceleration. We are very excited in how the activations are playing out within GAIA’s energies and within each of you. There are still changes to be experienced as the layers go deeper within the Core of your Being. Congratulations for stepping forward and creating the New World within You and Around You. We are the Unified Whole Command of the Great Divine Director, Master Thoth, Einstein, and the Brotherhood of White Light at your service! This week we are adjusting from the New Moon energies that occurred on January 11th and lasted for three days. I shared last week that we were being acknowledged by our Angelic Presence to be activated during this time. Some individuals may have felt flowing energies enfolding within them. The Elohim Council of Light shared a special message through me on the 11th which can be seen via this link, “We Are Now Angelic-Humans-New Moon Activation, January 11th, 2013” which was to assist us in allowing this frequency to become more active within our physical bodies. This Angelic activation is just the beginning for each of us. It was not a one-time event that would overtake our grounding process, but it is to help us to remember who we are, multi-dimensional beings of light. We have heard this term quite often in the last year but now it is becoming a reality for each of us. Again, it is up to us in how we receive it through our Higher Self and I AM Presence. There has never been a time like what we are experiencing presently to fully accept the aspects of our Divine Self to be fully activated within our physical reality. So now, what do we do with this? Well, it has been shared by Spirit that this is just the beginning. We have many timelines of angelic energies that need to be activated, but we cannot receive it in one full activation. It must come to us in increments as we can accept them; otherwise, the frequency that is being shared by the higher realms to the Earth would not be able to sustain itself. So it is a process of continuation within each of us. As I was reading some of the astrology reports for this week, I learned that we are in transition from the elements of Capricorn into Aquarius. Capricorn represents stability while having a need to understand the pathway that is in front of us holding unto the original planning stage. Whereas Aquarius, is more flowing as we become more aware of what is outdated within our lives. This results in allowing ourselves to look differently than we did previously. The pathway does not need to be anchored from the old ideas; this creates innovation to be ruled within our lives. The planetary changes that we are going through align with the activation of the Angelic Presence that has now been grounded within each of us. It is up to us to fully tap into this reflection of the Self as it is going to help us move into the direction of being the Multi-Dimensional Human. We can no longer exist as we have before. We have experienced the changes feeling like we are misplaced within a new environment but yet the old is still within us. Tuning into your angelic self will help you to move through the transition from the Old into the New. We are not there yet and will not be for quite some time; but we are in the beginning stages. We have been reborn and now we have to feel our surroundings with our new awareness that has been given to us. This week represents transition. Please know that there will be more activations such as we have received to help us through this process. We have to remember that the Heavenly Hosts are guiding us through this process of acceleration. Take time for yourself to Reflect, To Be, To Love Within, and allow that Illumination to be your guidepost. We come to you in the consciousness of the All to share not only the expression that We Are but Each of You coming into the Unification of Remembrance. We are the Unified Whole Command in which many masters are now standing in this consciousness to reflect unto each of you. Many individuals upon the planet are very unsure of where they are standing, what they are feeling, and how to interact as each moment can change as quickly as the movement of the Sun around the Earth. We want each and every one of you to understand that what you are experiencing is not common place; it is out of the ordinary to create wonderful expressions of YOU that have been lost for eons of time. We are very excited about the transition that is occurring presently within humanity. If you were to look at it through our eyes, you would see it quite differently than your physical existence. We see individuals in many walks of life starting to feel their own beautiful magic within their existence in whatever way it can appear. It is like a butterfly fluttering from a flower essence to the next feeling differently each time they move in a different direction. We see many butterflies moving about around the planet; sometimes, they stay in one place, and then at other times they are traveling so very quickly. Many butterflies moving around the globe in hopes to find their true essence in the flower that they connect with in each moment. Each of you represents the butterfly. Some are quicker than others but all are very beautiful as you are just starting to expand your wings in a way that you have never achieved before. It is a beautiful sight to behold from our expression, and if you can understand what we are trying to say, is that allow yourself to hold dear each moment you are experiencing. This is not an easy pathway that any of you have chosen. The illumination of your light is bright, but in order for you to become enraptured by it, you must allow yourself to feel all parts within. This process is not an easy one but very essential in the creation of your Multi-Dimensional Self. Do you know that you are re-creating yourself from all the parts that have been in different spaces? And sometimes, you pick up something you think you need, but yet the reality of your new illuminated self says “Oh, my, I was that before and I no longer need to be that Being I was.” When this occurs, there is a moment of remembrance within you. You acknowledge it and allow it to merge with who you have become. But then something seems to not align within yourself. That is the part of you that needed to be remembered but then removed, as you have grown beyond that aspect of the Self. This is the pure reflection of your own remembrance coming into the existence of Who You Are Now. There is so much beauty in these moments. You must remember that the old timelines of your reflection was not always in the Light. These moments take you into a place that you can no longer hold within you and then the reflection is illuminated through your entire Being. You become the Butterfly that can move into the next reality. Each of the realities that you hold dear within your Heart is a mere reflection of what you have become. You will receive more and more remembrances to help you see what we envision for each of you. When you are in complete wholeness without a body, the Light is so bright that you blend with the element of the Sun and become One together. These are the particles of light that you are receiving. But it can only happen within you at the increment that your body can hold. As each new light particle intertwines within you, the old part of you is removed; you reject it as it no longer aligns with the New Reality You are becoming. You will go through these changes through 2013. Some may not do it at the level of others as that reflects the many butterflies within GAIA trying to shine their light. Some may reflect more darkness than light and that is when your light illuminates to a power beyond what you can imagine. You are helping to clear these pockets of darkness just by your pure illumination. That is also why you must take time for yourself to continually feel these reflections within your physical body through your emotions and your thoughts. Know what feels beautiful and what does not. Learn to find the balance in between and remove the parts that no longer serve your existence. The Angelic Activation on January 11th lasted for three days in which every Higher Self guided the angelic particles of Light to be infused within each human being. Those that received it with the purity of their heart illuminated upon the lands; those that did not are not used to such beauty and rejected their own essence that wanted to be integrated. This activation was the first of many to allow souls in human form to coexist with other elements within their creation. There will be many chances for others to follow what you are receiving. As this frequency became manifest, it may also bring forward other energies that are uncomforting. You must remember that you are healing for the ALL and these feelings may appear. Take what you know and remove them from your essence. Bathe in sacred waters, use sacred incense and sage, and create your sacred space as you rejuvenate yourself into the next level of your multi-dimensional self. There is so much beauty occurring and many souls are hurting. We must reflect only the highest of the highest in each moment and be so very aware of the old that is leaving within you and others. The transition that you are experiencing presently will have it highs and its lows. With this new reflection you should feel more alive to create your life in a different way than before. Allow yourself to fully elaborate within the deepest part of your soul. Thoughts and intuitive energies will be at is highest level to help you remember all parts of your soul that are illuminated by the Divine Essence You Are. Take time this week to honor yourself in this process. Each new level that is received will help you to understand more of yourself and your reflection in the world around you. Flow into the next moments with ease and grace. Allow the thoughts of worry to leave you but just accepting your Angelic presence interacting with your humanness of the Higher Mind and heart. Flow and Be the Flow. Be the butterfly that you are allowing each experience to be a Divine Moment of your creation. We are the Unified Whole Command in the Source of Creation. So Mote It Be, We Are One! ©2012 Walking Terra Christa, Rev. Christine Meleriessee & Mike Hayden, Ascension Mastery ~ All Rights Reserved. No use without prior written permission allowed except for sharing the link to this page and website, http://walkingterrachrista.com. Today represents a very powerful activation during the New Moon cycle which occurred at 11:44 AM Pacific, 2:44 PM Eastern, and 7:44 PM UTC. At the present moment, we are in the midst of this frequency. The Unified Whole Command in the Frequency Update this week shared that the energy on this date was being aligned with the Christ Consciousness we received on 12:21:12. It will come in a different manner but will be the activation of our angelic self being fully integrated within the physical body. It is a time for each of us to become more aware of our mutli-dimensional self within our existence which may be a challenge for some individuals. How do we understand that we are angels and humans at the same time let alone being Star Seeds and Inter-Galactic Humans? It is all happening right now in these present moments. We are being asked to acknowledge the angelic part of our essence which is flowing and moves from moment-to moment without any worry or acknowledgement of what the feeling will bring within the physical body through our emotions or mental conditions. I state conditions, because it represents that as humans we look as everything to have a cause and effect. We more than often want proof of that energy to be manifest in our lives by trying to understand the entire process. As we incorporate our angelic self we are being challenged to stop and allow the flow of the energy to move through our four-body system; as we start to realize that we cannot figure it out. It is SO. I awoke this morning know that there was more I needed to be doing in my life on this day. A New Moon represents the creative process to flow through us and on this day, it is more than trying to manifest the physical elements to make our life better. I felt these energies and decided to do a small workout of light cardio. Doing the workout did not make a difference except to allow the frequency to move through me. As I was sitting here contemplating, I realized that the vibrational change that happened through movement of my physical body is allowing my higher essence to flow into me. I see the waves of light around my aura and thought I needed to eat (which I do); but then, it became more. My life is guided in so many different directions by Spirit as it is so very pertinent to my work and the way that I live. Today this has been very apparent to me that I needed to share these words. It is our pleasure in this moment to extend to each of you an understanding of the energies that are enfolding upon the planet at this time. Due to the time element, we are already within the flow on the planet. You may feel waves of light enfolding within you and around your physical body. It is your Angelic Self awakening into your physical essence. It represents joy, purity, love, and the highest expression of God’s love that you are enfolding within you. It will also assist you in remembering the angelic essence that you were, the travels that you experienced, and the movements of creation that occurred during those timelines. Yes, you are receiving the timelines of your Angelic Presence to be fully activated within your physical bodies and lives. But you must stop, and allow it to come within you. 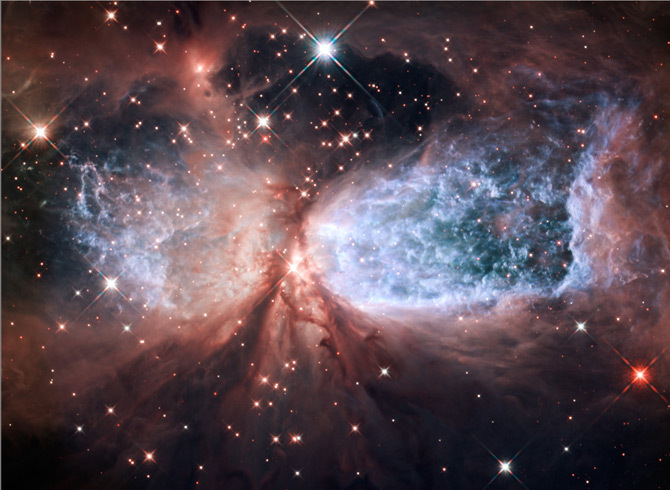 First, the movements occur by remembering the Angelic Presence flowing from space-to-space. See yourself dancing and actually create this action within your physical body. Working with these energies at this time will also allow the flow of the angelic light to be housed within Gaia so that all sentinent beings can receive their Divine Essence in a more accepting manner. This activation represents the ability to house your angelic self that will bring you the power to create and move the energies through you in a different way than you ever experienced before. Those that are not aligned in receiving the activation will miss a wonderful opportunity. So it is with this message that we ask each of you to do so not only for YOU but ALL OF HUMANITY. We have walked with you previously in Lemuria and other times. We understand the connection of the Divine Presence within the physical body. You are creating it within yourself to allow these frequencies to come into full existence of the New Earth. Be prepared for messages and allow them to flow. You may receive advice on a certain project or creation that you want to bring forth within your life. The power to create it is NOW. Hold deeply to these frequencies, and you will see great change within your life. The old timeline of forgetting your Angelic Self is now going to be gone. We walk with each of you during this time of creation. Thank you for accepting it. We are the Elohim Councils of God hand-in-hand with each of you. I would like to thank the Elohim Councils of Light for coming to me in this way today. I knew I had a message to share. Thank you so much for taking the time to listen not only to this message but your own Divine Angelic Self. We have arrived into 2013 activated with the frequencies of Light through our Divine Self. Some of us may not know what to do with these energies, some are fighting the higher levels, some have no idea that change has happened, and others are arriving with a sigh of relief. It all depends on who we have become and how much work that we have done to get into this new space of being. Whatever you may be experiencing, please know that this year will be powerful and life changing for everyone. This past week has promised to help us make the necessary adjustments to reach new levels of understanding within ourselves and the world that is around us. Many individuals may be feeling confused about what they are feeling or thinking as the old paradigm has been removed. What happens to us when there is a state of consciousness that is created upon the Earth that has never been received before? We are in a state of readjustment and there are no rules of what we are supposed to be doing, feeling, or accepting into our world, because it has never been done before. This year is like none other and the upcoming years will be the same. We are a changed race of Beings in which our pathways are not boring but yet filled with moments of surprise encounters from others and within ourselves. Everything we know is going to be challenged and it is up to us to decide how we are going to face our new reality. We are reborn within the same physical vehicle we have been using since the day of our creation. The steps that we take now will mold us into our new reality. So how do we create this new reality? By being present within ourselves, understanding who we are and not what we thought we were, and accepting that change is inevitable for every one of us on this planet. Our higher selves are awaiting our arrival into the physical body; many of us have achieved this integration and more have not done so. It is up to us that have integrated the higher frequencies to keep the balance by being more serene, calm, and non-judgmental especially towards ourselves. The third dimensional reality is gone, and now it is up to each individual to aspire to more within themselves, create this balance, and the world around us will change. We will be experiencing a New Moon on January 11th which is always a time to create new ways within our lives. This moon is in the sign of Capricorn 7:44 PM UTC which represents practicality. Be strong in whatever changes you want to make as the energy is fluctuating so much that we do not want to get pulled in one direction or the other. Since the beginning of January we have had to balance our energies from the 12:21 cycle of the Christ Consciousness being activated within GAIA. The transition that many individuals are going through presently can be very challenging due to the fact that we may still want to find the most solid pathway in each moment. That will never be the case any longer so we must be very strong in activating our energies through our Christed Self, which is our Higher Mind and the Heart. Find time for silence each day to reflect who you are becoming as these new vibrations are going to continue at an accelerated rate especially for the next three months. Be strong in creating a balanced foundation within yourself. Know who you are and this can change in a moment’s reflection. The best part of what we are experiencing this year will be to be in a synchronous flow of light. So if you are pulled in a certain direction and it does not feel as if it is flowing, then shift your energies into a more centered space by taking some deep breaths of “AAHH” which brings you into the center of the Great Central Sun. It also helps to ground your energies into your Earth Star that may feel as if they are floating out of your body. The most important thought we can convey is to deeply feel what is right for you in each moment. These moments can change quickly and remember to fully accept that you are a Divine Being of Light being activated within the physical creation that is You. It is our Divine Pleasure to be with each of you in this moment. We would like to go further into what Meleriessee has shared in the Planetary focus presently. Don’t let anything stop you from becoming more than you are. This is the beauty of the Christed Consciousness being fully activated within the Earth at this time. Each of you is being affected deeply by your consciousness and it is up to you to fully accept Who You Are Becoming. We know that this has not been an easy transition and especially for the Ones that feel something brewing within them but they just cannot accept the fact that they are changing. This is where each of you as Light Workers need to step into your full power by allowing your essence to become what you desire it to be. We have shared that the frequencies have shifted the Earth into a new paradigm of Light. Many believe that they have reached a 5th dimensional consciousness and that Earth has now arrived. That is the illusion of some individuals to think that nothing else needs to be done in preparation. We disagree and only want you to realize that there is still more work that needs to be done. You can have the higher consciousness but the reality of it is that it has not been integrated into GAIA. She is moving towards this event but it has not actually occurred. What has occurred is a revolution of Light. People are looking within themselves to actually understand what is happening to them on a soul and physical level. They are not sure what the outcome will be and they will never know that outcome. We have arrived into a 4th dimensional Earth. The consciousness of many individuals is varied and it is not up to us to say who has the 4th, 5th, 6th, 7th or even 10th level of awareness. The soul evolves in a way as to accept the higher levels of reality through the Soul Star and allowing the transference of this Light into the physical creation. What actually is occurring at this time is that each individual’s consciousness is being filtered into the physical body. This is going to take some time for it to evolve into the 5th dimensional earth. We are getting there and the more work that each individual does to create it for themselves, will make the process easier for others, GAIA, and humanity. But there will be divisions that occur unless we can bridge the gaps between the consciousnesses of humanity. It is not going to happen just by thinking it is so. What will be occurring is that each individual has a responsibility to allow the full activation of the New Earth to occur. This also means that every person will feel the effects within their physical body as many call “ascension symptoms.” It is the process of the ascension descending into the physical vehicle to create the light forms to be activated within each individual. You are the conduits for the allowance of these elements to occur and you will be the Ones that will feel it the most. Let’s face it ~ we know that many of you have been going through these processes already as it is part of the Initiation of Mastery to walk as the Master and fully accept this role through the physical existence. Many have chosen to leave this planet as that was not their path to hold the light. There are several souls that worked very hard to this end but decided they would not endure the integration any longer. We thank them deeply for doing so as it has made it possible for each of you to fully accept your own Mastery upon the Earth and work in unison with others to stand in the presence of GAIA’s own acceleration. At this time, this process is continuing on much deeper levels than it was ever anticipated as the amount of Light Workers that are willing to fully participate within this program of Ascension for GAIA and not just for themselves. The ones that are going into deeper levels of their Soul’s development will find that their light will be strong conduits for others to follow. The Ones that do not understand that will find that they need to heal their soul’s psychological path as there will be a lack of understanding of how this process works. It is appropriately guided that leaders are not born for this role but must be nurtured and trained on very deep levels of existence. The individuals that understand our words will ring Truth within them; the others who are not ready will not understand at this time, but hopefully will follow suit. We were given a beautiful opportunity at the time of 12:21 to fully blend our energies with our Higher Self and I AM Presence. Many of us in Spirit have done so; many in body are also doing so in preparation to these phases as it cannot be accomplished in body without great challenge. It is with this that we share our deepest gratitude that you are doing so. All of you listening or reading this material are in preparation, but please know that the road is not paved with pure bliss in each moment. Bliss happens when it happens to you from the deepest core of your Soul’s Essence. There are timelines that need to be acknowledged and released through this process of the Self forgiving the Self. The energies this week are preparing you on deeper levels than you could ever imagine to help you through this period of transition. We share the background information to help you understand what you may be going through within this process. Oneness does not occur within each individual person without the doorway of letting go of the old and allowing the new to be born within. Each of you in body must realize that this is not easy, and this week it is going to take you into new levels of awareness. The structure of your foundation needs to be very strong. This means that the basis of information that comes through you into your physical creation has to be on a level in which all consciousness can accept your advancement into the higher realms. If you do not have a strong foundation to stand upon, then the body will not be able to handle the frequency. Your Etheric structure is being challenged and turned inside out to allow your physical vehicle to accept the new paradigm of consciousness that is coming into your Being. Please be assured that this new wave of energy is being engineered by everyone’s Higher Self and I AM Presence and the amount of frequency that comes through to you is being activated through these elements. It is important to have a dialogue with your Higher Self whether or not you can hear them talking bacl to you; they will hear you. Be strong in your meditations and within your silence, because this is where the true elements are going to help you in the transition. This new moon is allowing each of you to go further into your Divinity. But as we shared previously, you must be prepared to allow it to happen. It is going to happen anyway, but it will be guided by You in how the integration occurs. Many will not accept it readily so the ones that can, please do so. You will be holding the higher light within the balance to be fully activated into GAIA. So if you are looking for changes to occur during this new moon, you have the structure to hold the changes while being in the same position, you will find a most synchronous event about to enfold. The energies of Light from the Heavens are supporting you greatly through this process. You angelic self is about to be more activated within you to assist in the process but GROUNDING is most essential in order to hold it. The power of this week is being considered the next phase of the Christed Self. It will allow each individual to go into deeper levels than they previously encountered. The Elohim Councils of Light are standing by to assist everyone through this process as they understand what it is like to be within the body while accessing their higher knowledge, wisdom, love, and completeness. For some individuals this intensity will be too great so it is important to fully reflect on the foundation you have created. The choice is yours in how you handle this energy ~ Assisting or De-Assisting. Allowing the flow of life to run through you, around you, and BE YOU. We walk with you in each moment as our Days of Light are becoming increasingly brighter. We are the Unified Whole at your Service. So Mote It Be, In the Light That We Are As One! ©2012 Walking Terra Christa, Rev. Christine Meleriessee & Mike Hayden, Vibrational Ascension Mastery ~ All Rights Reserved. No use without prior written permission allowed except for sharing the link http://walkingterrachrista.com. We have arrived into 2013 with a renewed sense of hope that our futures are glistened with the possibilities of light while being charged with the lightness of our spirits infused within us. December activations of 12-12 and 12-21 were truly epitomized as the most powerful light that would ever infuse upon our planet, but yet some have come away with disappointment that they have not ascended into another dimensional reality. In truth the Christ Consciousness becoming activated into Gaia has to do with each of us individually and how we fully accept this frequency within our physical vehicles called the human body. The energies came and were very powerful but what we have done with them is the most important factor to consider. It depends upon our free will as individuals and a collective consciousness to fully accept the Light that We Are. And, we may not be ready to receive the most powerful existence of our Soul’s Presence which means that we still have quite a bit of work to do within each of our four-body system. The process that each of us is going through presently represents our ability to hold our own I AM Presence more fully within the physical body which will in turn assist Gaia in her ascension process. Until we allow these elements to happen then we cannot exist in a higher dimensional reality, but we can continue the journey to do it together. If you have chosen to stay here on Earth, then you are part of this process. Many thought that there would be climactic events within the Earth as it had been prophesied, but in truth, the power of our light together is allowing Gaia to be in her space of continuance. She is moving forward as each of us are doing. 2013 promises to be the Rebirth of the New World and it is up to each of us to do our part individually to allow Heaven and Earth to be reborn upon this Earth. The energies of December truly have assisted with this process but many individuals may find that they are emerged into a new world of lower thought energies than before. The consciousness of Oneness must be perceived through an individual’s Heart and Mind and we cannot come together as a species until we work through the timelines and old elements of our pasts that continually haunt us to be less than we truly are. The activations of 12-12 and 12-21 pushed us further into this deep healing state so that we can move forward together to feel the Unity that each of us deserves. This first week of the New Year promises to assist us into deeper realms of thought and perception than we could ever imagine. The Christ Consciousness was embedded within the planet which will take us into deeper levels of our awareness which is assisting Gaia greatly. It is now up to us to decide what we will do with it. The possibility is available to us to work with our next vibrational level for our Highest Good or stay within the old paradigm of the 3rd dimensional world. We have moved into the 4th dimension which can be beautiful or it can be full of duality. It is now up to each of us individually to choose the High Road or the Low Road. We at Walking Terra Christa are here to help with this process of continuing the pathway to Heaven onto Earth. We come to you within the essence of the 144th dimensional level representing the Creation of Oneness. Previously we emerged in our separate entities but this point forward we will address our communication as One Being of Light. 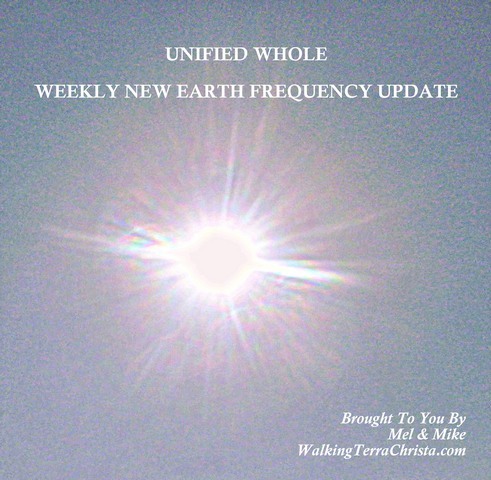 We have merged our energies together as the Unified Whole Command for this weekly transmission and other messages that will be coming forth through Meleriessee from this day forward. First of all, let us say, “Hooray” for the cheers and the uplifting energies you have all received. The December activations were extremely powerful and many individuals felt the frequencies, but we have to say that they have been unsustainable to the extent that we had hoped. This does not mean that they are not continuing but what it does represent is that the activations will be coming to you in more depth to help you assume your new realities. We are walking with you through this whole process as we understand that it has never occurred upon the planet before so it is important to realize the journey and not the destination that is important. The energies of December were increasingly more powerful than anyone could ever realize. What we did not consider is the amount of individuals that would not be able to hold the frequency within their physical structure as deeply as we had anticipated. The percentage of the energies that have been held within Gaia at this time is very low due to the environmental conditions within the Earth and the structures of Light that are holding more are due to individuals in these areas that have been ready to fully ground these frequencies. It is important to realize that each of you is a very important conductor and until you are ready to accept your own Higher Self fully within the physical body then we still need to do more work. This is not just a moment of saying “Yes, I am ready to ascend. Send me the light-codes to do so”, and then seeing it happen. There are many timelines that are still scattered around the Earth not allowing individuals to fully accept their full potential. This is not to say that the Ones that have accepted their essence fully are not holding this frequency, but the numbers are very low so each person needs to be increasingly protective and powerful within themselves to allow the highest optimal performance to occur within their existence. Work still needs to occur which means deep meditations to allow the frequency to be fully grounded, and it will come in increments of the speed of light so be prepared for the shifts within the physical body to happen. You will find that the higher vibrational areas will be around the New Earth Golden Cities. In the US alone there are seven of them which are housed in the New Earth. The frequency of these cities will extend into the present Earth and in the areas of the cities. The golden cities in the North America are: Arizona/New Mexico, Illinois/Indiana, Ontario-Canada, Nebraska/Kansas, Missoula-Montana, Alaska, and Atlanta-Georgia/North Carolina. The Crystalline City over Mt. Shasta was recently activated being the City of Many Lights, Havalanchee. You will find that if you are located near any of these areas that the frequency of light will be easier for you to incorporate which will take you to deeper levels within your full body system. This is truly the creation that we are asking to occur and if you are fully activating the Christ Within you, then we thank you deeply. There are also other cities located around the world which are assisting in the frequencies being fully grounded. To get back to our discussion of this week, please know that we do not share this information to say it is not happening because it actually is happening right now. We want to let everyone know that we are now in an accelerated phase of continuance and the energies are going to take you into deeper levels of your core essence. You are no longer alone and must realize that groups of individuals are coming together to unite their Love with each other. This includes each of us in the spiritual realms along with the New Earth Beings, and Christed Intergalactics to share our experiences in One Unified Way of Being. But we are not there yet. We must go into deeper levels to find the purity and light as it is within ourselves and not outside of ourselves. The timelines need to be removed along with old elements that no longer serve your purpose. This pathway is intense, takes courage, and great perseverance. We now go a step further into the reality that we are together. Illumination will be the guide and the rule of the day. What you illuminate through you into others will reflect back into yourself. Everyone must be prepared with the thoughts and energies of what they are expanding outside of themselves into the deeper essence that is starting to inhabit within their being. This is not an easy process. Take time this week to fully exhibit within you the deepest essence of the low and the high energies. Let every stone to be turned up, good or bad. It is essential for you to fully feel your Light and your Dark to allow them to merge within one another. Be compassionate about parts of yourself you do not like and be exhilarated by the parts that are so comforting and cherishing to your Heart. Allow them to blend within each other so you can find the balance within yourself to feel the integration of your Light. Then, and only then, can you fully see how your awakening is going to a place that you never thought would occur. This will be your true reflection of the self. Take this time to fully balance all aspects of yourself into the Being You Are Becoming. Take what you have learned, release what you do not like, and accept All That You Are. This is your beginning ~ our beginning with each of you. We call this the week of Foundation when each individual can fully look within themselves and see what needs to be shifted into the New Reality. This will be a process of removing and accepting the parts that have been lost along with way. Each week through the three month process into the Spring Equinox will take every person into a new part of themselves that will be revealed. It will be like taking a hike through a cave finding crystalline structures illuminating the light and walking into pockets of darkness that will be revealed through the light. The darker areas will merge within the light to illuminate the full acceleration of your Soul’s Essence. This will then create the SYNCHRONIZATION to occur upon Gaia as we walk within each other in Unison. We honor you and walk with you during this process of initiation. We are the Unified Whole Command Creating the Light of the One Within. Note: Details on the New Earth Cities can be found on “New Earth Circle of Light, http://newearthcircleoflight.com” blog. We also have a weekly call with Lord Adama and the Team of Light to visit each of the New Earth cities. These calls are available under our Membership Program, http://walkingterrachrista.com/members/.